2020 Jeep Gladiator Is Here!! Drivers seeking a rugged, old-school Jeep around Orland Park may do better to choose the Wrangler JK over the standard new Wrangler. The last of the previous generation, the JK sports a V6 across the lineup, has a body style that’s a bit more angular, and might give Jeep fans something that feels a little more like the classic idea of a Jeep. Don’t get us wrong, the new Wrangler — the JL — is a great SUV on- or off-road, but sometimes we just want something a little different — that’s why the Wrangler JK is here at Bettenhausen CDJR. Find yours below. We appreciate your interest in our inventory, and apologize we do not have model details displaying on the website at this time. Please fill the form out below and our team will quickly respond, or, please call us at 708-801-3118 for more information. The Wrangler JK has an MSRP starting from $23,995, while the Wrangler starts at an MSRP from $26,995. The Wrangler JK offers a half-door option, while the Wrangler does not. The Wrangler JK has just one engine option, while the Wrangler offers two additional engine options, including a turbocharged 4-cylinder engine that makes 270 hp and 295 lb-ft of torque. Of course, we think that the difference is best seen. 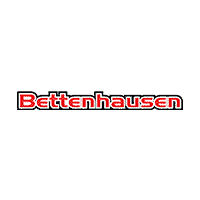 Visit Bettenhausen CDJR in Tinley Park today to take a test drive and see the difference firsthand.